Located on Interstate 40, halfway between Memphis’ Beale Street and Nashville’s Music Row, Jackson is at the center of a 21-county tour area and at the intersection of Music and Rock-A-Billy Highways. A comprehensive listing of Jackson’s hotels and amenities are included. Featured segments include: Music, History & Civil War, Attractions, Arts & Culture, Sports & Outdoors, Annual Festivals & Events. A fold out map of Jackson and Madison County as well as the West Tennessee region are additional benefits of the guide. Whether it’s an annual event or one of our great live music venues, experience the music which could only be found halfway between Memphis and Nashville! 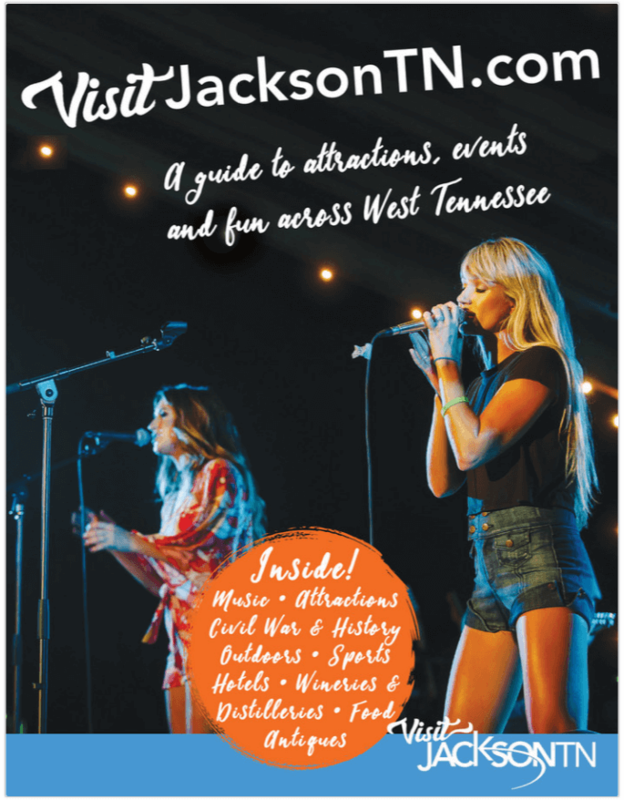 Visit JacksonTN to connect with what is happening in Jackson and West Tennessee. Connect socially on Facebook and Twitter or call 731.425.8333.